Q: What is the Bellingham-Whatcom Public Facilities District? A: A “Public Facilities District” (PFD) is an independent municipal taxing authority created solely to fund facilities that encourage or enhance economic development within a regional core area. State Legislature established the PFD concept and framed rules for PFD operation under RCW Chapter 35.57. The Bellingham-Whatcom Public Facilities District (BWPFD) was created in 2002 as a joint effort between the City of Bellingham and Whatcom County. The BWPFD’s mission is to fund a regional center that will increase economic prosperity and lay a foundation for further public and private investment in our community. Q: How are PFDs funded? A: The BWPFD receives, for 25 years, a rebate of 0.033% of sales tax collected by Bellingham and Whatcom County. This means for every $1,000 in state sales tax collected in Bellingham and Whatcom County, 33 cents is returned to our community through the BWPFD. The BWPFD has been receiving this tax rebate since September 2002. The BWPFD can sell bonds to generate capital for specific projects. As sales tax rebates continue to come in, they will be used to pay off the bonds. A match of thirty-three percent (33%) of the sales tax revenue collected must be met by other public or private sources. The City of Bellingham has already met this match by transferring to the BWPFD the City's ownership interest in the Mount Baker Theatre and by designating $2 million in capital funds towards a Streetscape project within the Regional Center. Q: Does the State mandate the size of the projects funded by a PFD? A: A PFD Regional Center must be made up of projects requiring a minimum of $10 million, including debt service. Q: How does the BWPFD decide which projects to fund? A: By interlocal agreement between Whatcom County and the Cities of Bellingham, Blaine, Everson, Ferndale, Lynden, Nooksack and Sumas, Regional Center projects must be located in Bellingham’s Civic Center. The BWPFD’s mission from the outset has been to fund projects that will provide a foundation for further public and private investment, and facilitate future projects that will increase economic development in our community. Projects will be a wise use of public funds. Q: What projects is the BWPFD funding? 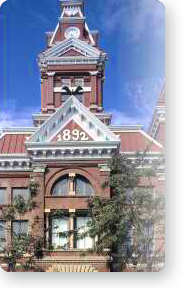 A: The BWPFD completed its first project in November 2004, Phase I renovations to the Mount Baker Theatre. This included property acquisition, back of house expansion/renovation and development of the new Studio Theatre. The total cost of this phase was $4.4 million. Construction of Phase II renovations was completed in November 2008. In July 2004, the BWPFD purchased the property at 216 Grand Avenue as the site of the Art & Children's Museum. A national design competition was conducted during the fall of 2004 and early 2005. The jury recommended Olson Sundberg Kundig Allen Architects. In June 2007, the Bellingham City Council awarded the bid for the project to Ebenal General, Inc. Construction was completed in March 2010. Q: Who makes up the BWPFD Board and how were they selected? A: Seven community leaders representing various backgrounds and interests were proposed by the Mayor and County Executive, and confirmed by both the City and County Councils.